The Federal government is quickly becoming an enemy to the people. One more example of that is its theft of land. We recently saw an example of this in Nevada with Obama’s Bureau of Land Management attempting to destroy the livelihood of a Nevada rancher by stealing his cattle–and killing them–and sending hundreds of SWAT team-like, heavily armed para-military forces to attack him. But western states are starting to oppose these federal thieves by warning Washington to stay in Washington. The simple truth is that the U.S. government has already stolen too much land in these United States. 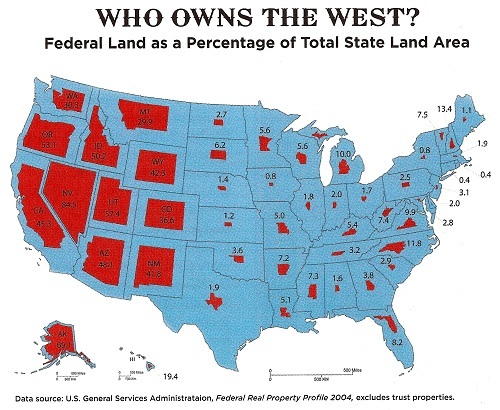 The feds have taken possession of land in every single state, and in some states it has taken possession of most of the state preventing citizens of those states from buying, trading, or improving those lands. Texas Governor Rick Perry, for instance, just told the BLM to keep out of the Lone Star State. The governor is acting in advance of news that BLM is looking at absconding with thousands of acres near the Red River. “At issue are thousands of acres of land on the Texas side of the Red River, along the border between Texas and Oklahoma. Officials recently have raised concern that the BLM might be looking at claiming 90,000 acres of land as part of the public domain,” Fox reported. Perry isn’t alone, either. A coalition of western states have recently been mulling over ways to tell the feds to take a hike and to regain control of their own land. This is all part of the move toward reinstating the 10th Amendment to its former–and intended–glory. This reiterates that founders’ ideal that the U.S. Constitution was giving limited powers to the federal government. Many states are beginning to look at this amendment in a new light using it to put a halt to the out of control government in Washington that imagines its has no limits to its power and can do whatever it wants to do. Some imagine that this all is a precursor to armed conflict between we, the people, and the autocratic, un-American federal government. While that is possible, it isn’t a necessity. All it will take is millions of voters to begin to agree with a return to federalism and Washington will eventually succumb to the will of the voters. But it won’t be an easy battle. It would be terrible if it became open season–literally–on all government workers, but if the federal government doesn’t begin to shed some of its unearned, unethical, and un-American powers, it may just end up losing those powers at gun point. This is something we should try to avoid. The rest of the country needs to take a lesson from what Perry and other western states are starting to do. The federal government needs to be chopped down to size. Now Obama Bows to Foreign Robot, Seriously! 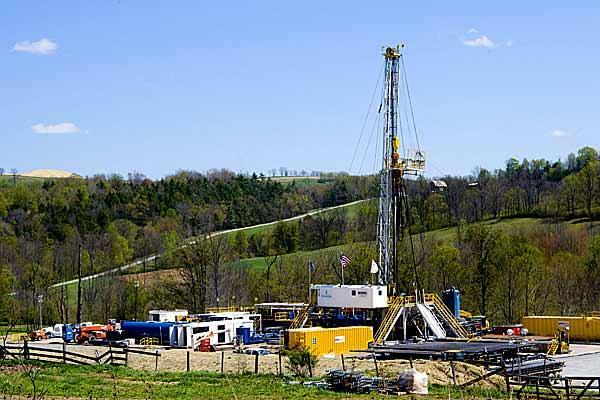 Yoko Ono, Sean Lennon’s Anti-Fracking Protest Song–‘Don’t Frack My Mother’?